Take a look inside CLICK HERE! Also Available in Amazon-Kindle format. Dr. Robert G. Clouse is professor emeritus of history at Indiana State University. He was a founding member of the Conference on Faith and History, served on the editorial board of the Brethren Encyclopedia, and was a contributing editor of the New Twentieth Century Encyclopedia of Religious Knowledge. Dr. Karl H. Dannenfeldt † served as professor of history at Arizona State University, the American editor of Archiv f?ür Reformationsgeschichte, a committee member for the American Society of Church History, and president and officer for the American Society of Reformation Research. Edward A. Engelbrecht (STM) is senior editor for professional and academic books at Concordia Publishing House and general editor for The Lutheran Study Bible (2009), which is currently being translated into Spanish and Portuguese. Dr. Marianka S. Fousek is an independent historian who served as a professor at Miami University and other schools. She also served as a council member for the American Society of Church History. Walter Oetting † (MA) served as professor of Church history at Concordia Seminary. He died young, just after completing his book for the Church in History series, which was reissued in 1992 due to its continuing interest as an introductory text. Dr. K. Detlev Schulz is associate professor and chairman for the department of pastoral ministry and mission at Concordia Theological Seminary, serves as the PhD supervisor of the missiology program, and is dean of the graduate school. He grew up in Africa, studied in Europe and the United States, and served as a missionary in Botswana. Dr. Roy A. Suelflow † served as a missionary in China, Japan, and Taiwan. He also served as a seminary professor and mission director in East Asia. He later taught church history at Concordia Seminary and served as associate editor for the Concordia Historical Institute Quarterly. Dr. Carl A. Volz † served as professor of church history at Luther Seminary and as an editor for Dialog: A Journal of ?Theology. In 1997, the American Academy of Parish Clergy selected his book, The Medieval Church, as one of the ten best books of that year. 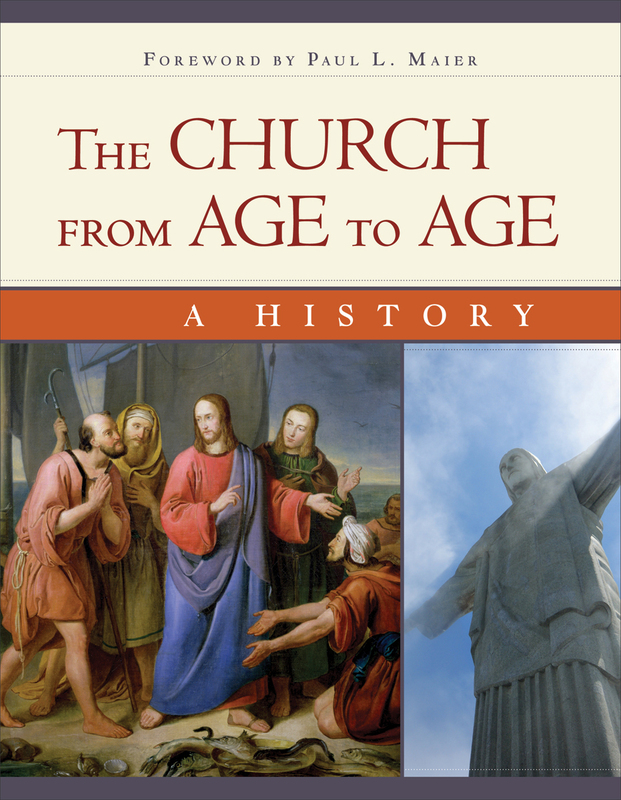 "The Church from Age to Age is a marvelous survey text. Replete with a lengthy, detailed timeline, fifteen different maps, lists of popes, eastern patriarchs, church councils and assemblies, peppered with primary source readings and, most importantly, founded on a meaty, spiritually edifying, and global historical narrative, it offers students of all kinds a wealth of information in a reader-friendly format. Though produced by confessional Lutherans from a Protestant point of view, it is accurate, reliable, and much broader in scope than most traditional Protestant histories. Its global frame of reference will be especially helpful to many. I strongly recommend this text for use in Christian colleges, seminaries, churches, and Protestant homes around the world. I will certainly be using it in my own teaching ministry." An outstanding book! . . . Combines all the elements that make for a great text. A clear, thorough and balanced coverage of world Christianity. A marvelous survey text. . . . I will certainly be using it in my own teaching ministry. Very readable and lively. . . . Exceptional research. Both erudite and accessible. . . . Encourages a truly global vision of the Church. Filled with a rich array of fresh resources for . . . study and teaching. Accurately reflects the dispersion and diversity of the Christian movement. [A] magnum opus. . . . See where Christianity has been and where it is going. If you are interested in obtaining a copy of the book for your institution's academic journal to review, please contact Lindsey Martie at 1-314-268-1303 or email lindsey.martie.cph.org. If you have a question about Church History, this is the book with the answer! This is a hefty volume of over 900 pages packed with information. It is written so that anyone with an interest in the subject can easily understand.